An imaginative room with a sparkle? It’s possible. Just bet on strong and fiery shades of red. Contrary to appearances, the red colour is defined in a number of ways. Both lovers of classics and admirers of modern and engagingly decorated rooms will surely find something for themselves. 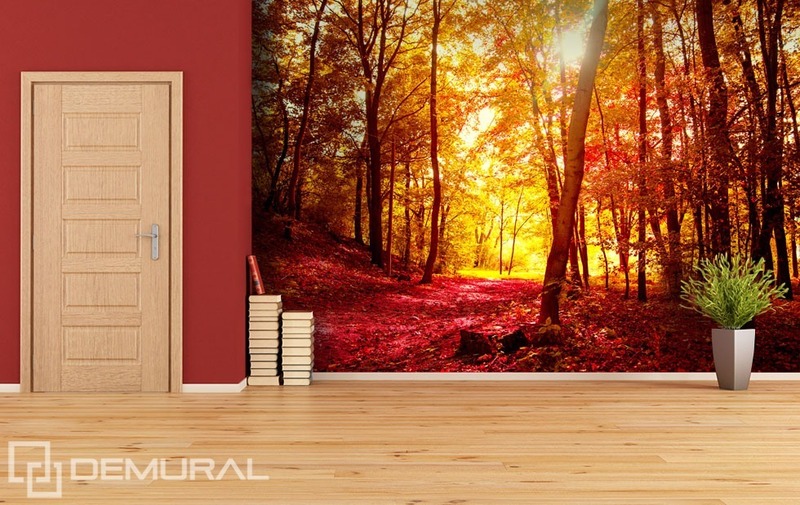 We present you inspirations of interior design, where red photo wallpaper is the mainstay. Colours in our houses and flats are of great significance. 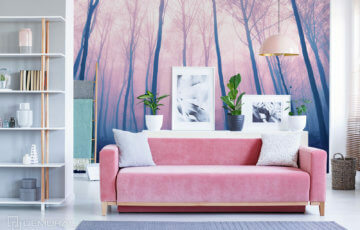 Our mood can vary depending on colours used in a particular room. Red is a colour of energy and power. Choose it, and it will give your house not only a completely new appearance, but strong character as well. Red is a strong and vivid colour. It is associated with energy and a desire to live and act. It’s worth to use it as part of room design. What can be red? Practically everything – from window design, through a set of furniture and effective accessories, to colours of walls. 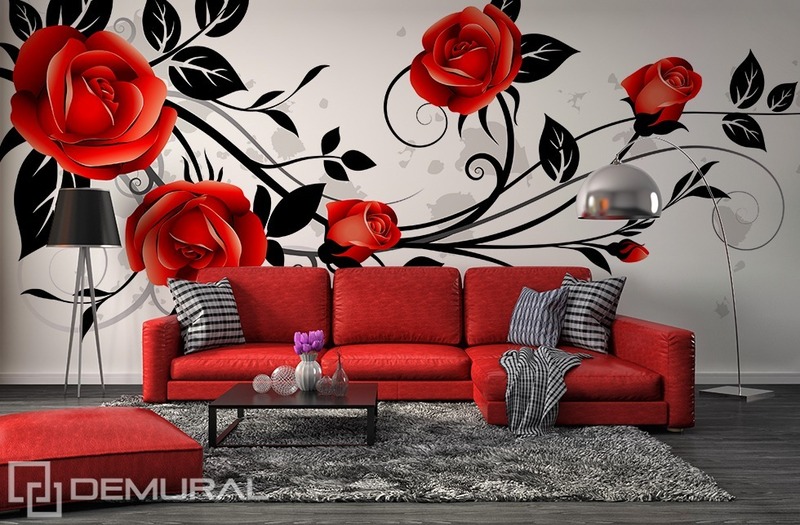 However, a wall painted red won’t be as impressive as a well-chosen wall mural. The red colour looks extremely presentable when it contrasts with a toned-down background. The red colour will work well in oriental rooms. It associates with warmth, energy, exotic spices and oriental climate. Especially fabrics, such as bedspreads, pillows and even wall-hangings, can be red. 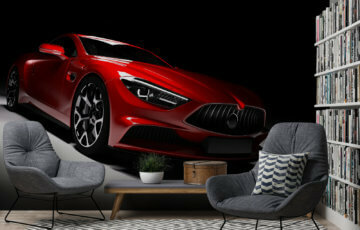 However, a red photo wallpaper surely is the most impressive decoration. It provides that it is well-matched to the character of the interior and meets the needs of householders. 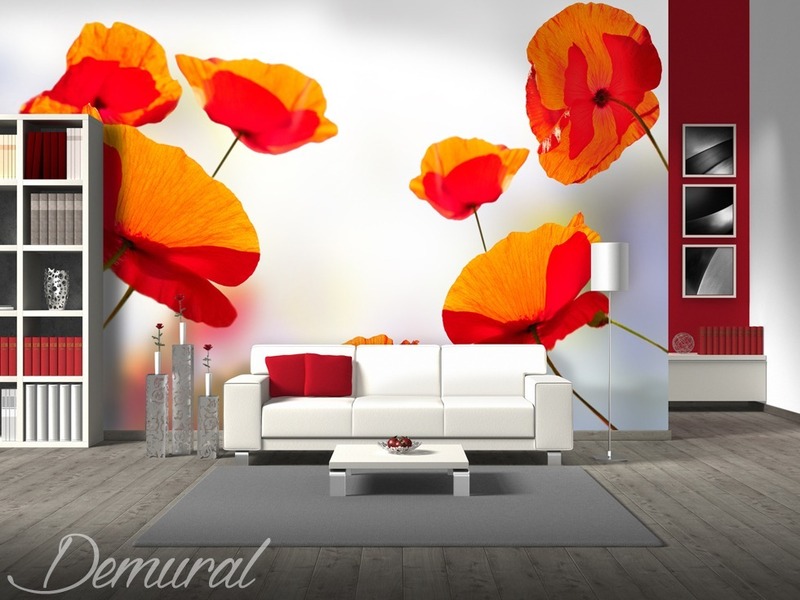 Wall murals with red flowers, such as red poppies, are a great idea (here). They give the interior not only character, but lightness as well. The vivid red colour, coupled with delicate and light flowers. It will give an amazing design effect. Choose the red colour in a form of big, geometric shapes. Your will be room to be more characteristic. Redt can be delicate, fading into pink, or more sensual and vivid. It will create a brilliant effect of warmth and a unique atmosphere. Red photo wallpaper presenting juicy fruits can be red as well. Apart from a strong colouristic accent, we will achieve the impression of lightness and closeness to nature as well. 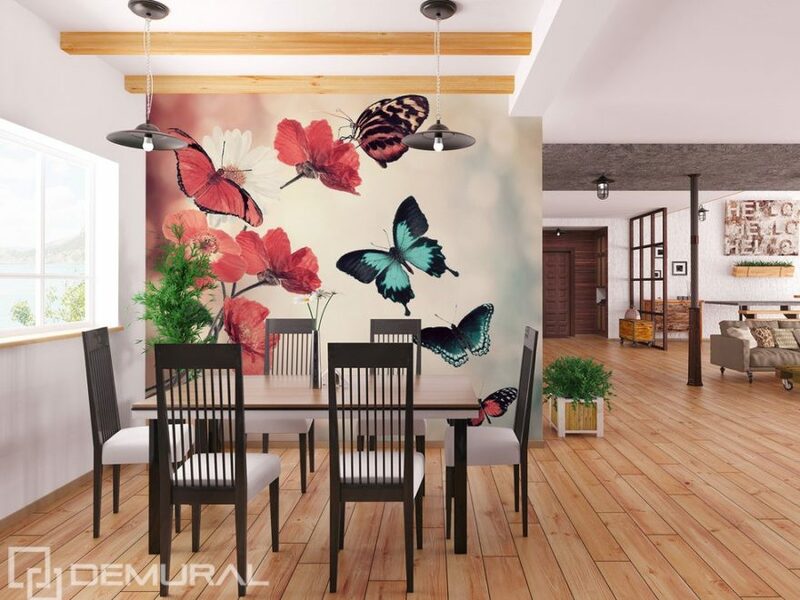 Such wall murals will surely become the most powerful design effect in any interior. Wall mural have to be clearly visible. Colours of the remaining design elements should be toned-down. The red colour can also be emphasized with well-chosen small accessories. They won’t overwhelm the interior, but show which colour in the room is the most important one.